The TraffiSafe 3 colour coding system is an innovative, proven, simple way to ensure that your workforce is wearing the appropriate level of protection for the task they have in hand. The colour coding (RED , AMBER and GREEN) relate to the gloves performance on the EN 388 test for cut resistance. RED gloves have a level 1 score, so they are only suitable for lower risk tasks. The colour RED for the lower protection was chosen by Traffi as a reminder to the wearer to be sure they are always wearing suitable protection. GREEN gloves have a cut resistance level of "5", this makes them the correct choice for higher cut risk tasks such as handing sheet metal. The colour GREEN provides the internationally recognised confirmation that it is 'safe to go', in this case when there is a higher risk of cuts. 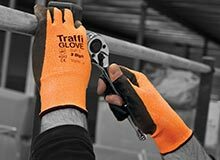 Traffi's RED gloves are ideal for tasks that involve a low cut risk, such as general product handling, warehouse and assembly line work and some low risk construction jobs. 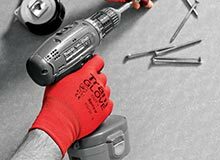 These Cut level 1 gloves provide adequate protection for a wider range of tasks while the RED colour serves as a warning, reminding the wearer to consider whether further protection is required when switching to a different task. The RED gloves are a good choice for supplying to visitors who might need to wear gloves on site to comply with safety regulations. The AMBER glove offers a medium level of cut protection, which makes them the ideal choice for second fix construction trades, mechanical and electrical trades, steel fixings and handling materials with sharp edges. The AMBER gloves are finished with a large variety of coatings to give you plenty of choice within the range. 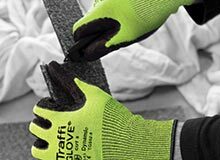 The GREEN gloves provide the highest level of cut protection, so they are the best choice for cut risk tasks such as applying cladding, swarf and metal work and handling glass or sheet metal with cut edges. 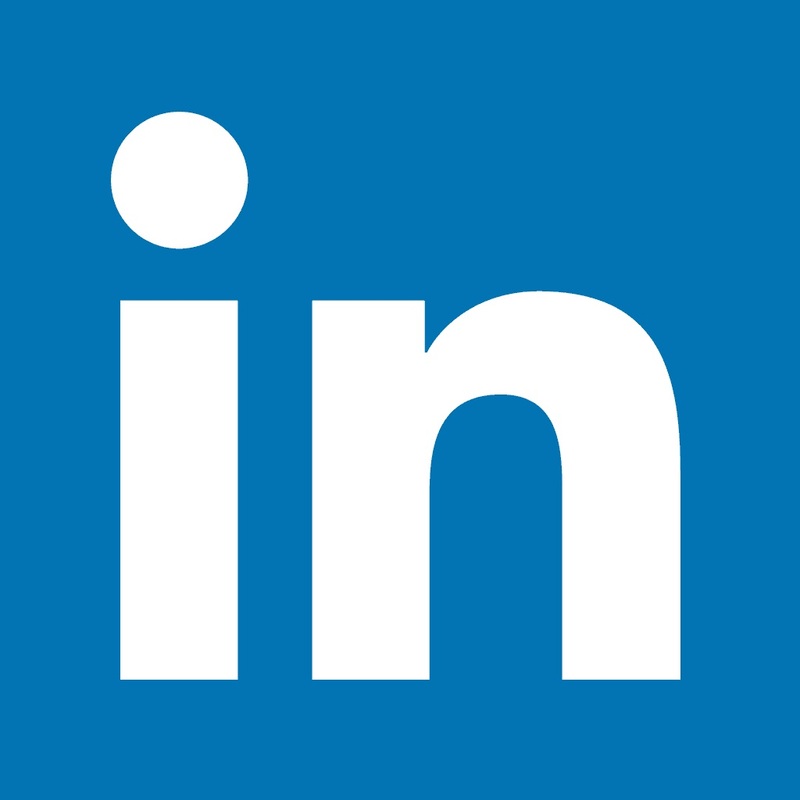 They also provide the higher protection necessary when dealing with unknown risks, for example, in the waste and recycling industries.